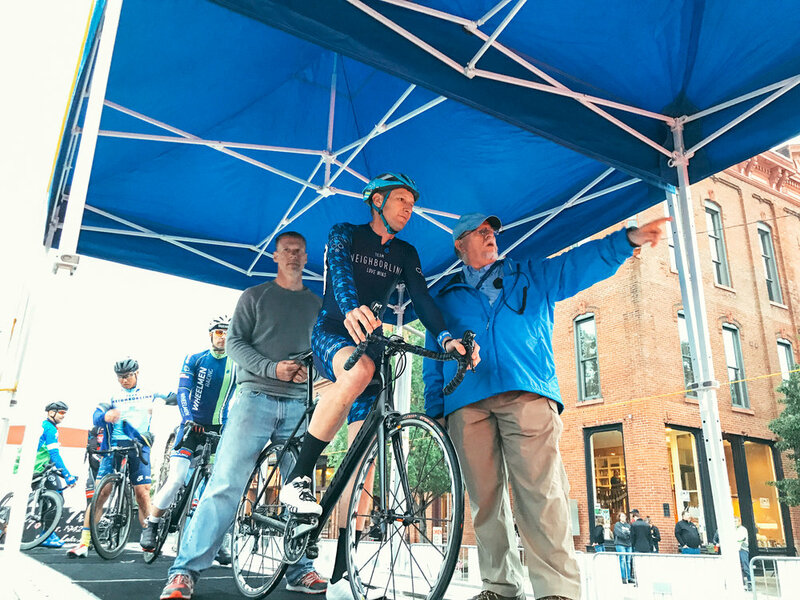 Ed Messer, aka "Local Legend," is a longtime road, crit, and MTB racer around the region. While he doesn't race on the road that often anymore or race to prove anything to anyone other than himself, he has by far the most road racing experience of any TNL road athlete, minus our CX teammate Josh Johnson who races on the road with Bissel ABG Giant and will be sharing his thoughts soon. Ed is our elder statesmen and go-to for so many things. 1. First and foremost for me would be to set the expectation of having fun and not focusing on results. I would look at my first race as an experience that I’m looking forward to and an opportunity to be competitive with other folks that enjoy pushing themselves. You shouldn’t succumb to the pressure of expecting a good result. Just plan on having fun on your bike. Try to finish as well as you can but do so with a child’s joy in what you are doing. Then after the race, seek out competitors from your race and talk about the race. I guarantee you’ll find folks genuinely eager to talk about the race - how it went for them, crazy things that happened, what they’d do differently, etc. The biggest reason people get into racing is because it is fun. So focus on that before putting a ton of pressure to be on the podium. 2. Second would be to treat it as a learning experience. Most likely those against whom you are competing have done at least a few races already. Watch what they do. Watch their lines. See who goes for breaks. Pay attention to how people react to the wind. Examine how safely they ride in the pack. No one in the world - even the top Euro Pros - races each race perfectly. Don’t expect that you can know everything you need to know about racing when you roll to the line. Along with this, critique what doesn’t make sense, or doesn’t seem safe to you. If a competitor takes a line that seems sketchy, think about why and how you would do it differently. If you find yourself yo-yoing on the back of the pack because you think it is safer for you, try to look ahead to the front of the pack and see if it is any smoother. In January it is tough to get in good training. You have to be incredibly intentional about it. You have to plan rides on the trainer in the basement or garage. You have to will yourself to get bundled up and head out for a freezing cold ride. So just accept that. You need to set a goal, however modest or aggressive you deem, and try to get time in on the bike. I would caution against doing too many Zwift races as I don’t think too much high intensity riding this early in the season is a good idea. But if that is what it takes to get you on the bike, so be it. Just be aware that riding too hard now may make you susceptible to burn out earlier in the season than what you’d like. As the season gets warmer, you’ll be able to ramp up your miles and your intensity. I would keep in mind thought that you need not feel compelled to come out to your first race fully tuned and fit and ready to win. Some folks may but if this is your first season, just try to have as many hours in the saddle as you can. I would say that if you can hang on a fast group ride, you should be able to hang in a Cat 5 crit. But, I would emphasize the word “group” in that. Being able to ride safely in a group will be more effective in keeping you in the race and upright at the end than any level of fitness. There is a certain level of skill in riding safely and efficiently in a group that can almost never be overcome by fitness - unless you solo away from the pack at the starting line and end up riding by yourself. Having the confidence to ride shoulder-to-shoulder or bar-to-bar with others is key to being able to race in a crit at any level. Fitness is secondary to that. Riding in a group is an essential part of your training for road racing and crits. Essential. The ability to safely ride in a pack of riders is absolutely fundamental to racing well. Riding in a group will show you how to handle being in close quarters with other racers. However, not every group ride will be an example of what to do. Some will give you examples of how not to ride in a group. But through experience you will come to see what is good technique and bad. Craigslist? Nah... join the SM world, connect to local teams/groups and show up. Early in your race experience - at Cat 5 level, I don’t think you need to be a part of a team to get good results. Folks at that level are usually just getting into racing and don’t fully understand tactics. But what I will say is that being part of a team of like-minded friends who are encouraging and supportive is what will give you the best race experience. Having friends around you to support and encourage you is key to staying with it. It is amazing to have friends around you helping get ready for your race, cheering your name during the race, and to relate your experiences to after the race. The camaraderie of bike racing is to me, more important than the results. Sure, I like to do well in races, but even in that, doing well to me is not only how I stack up against others it is how well I do compared to how I expected I’d do. But if there weren’t a community of great friends around me at each race, it would lose its luster pretty quickly. It would become more like a job. I do this because it is fun and an essential part of that fun is the friends I do this racing thing with.